Our previous KD street style girl Georgia has now shown us how to keep cool this summer and still look fabulous wearing the KD Moloka skirt teamed with the grey jersey t-shirt and also styling the white KD Trea dress. 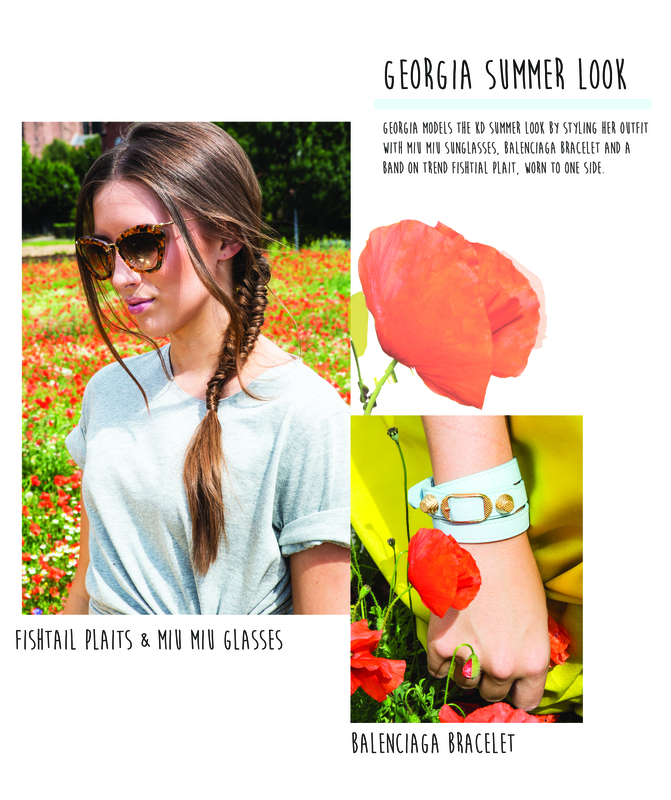 Georgia accessorises with Miu Miu sunglasses and duck egg blue Balenciaga bracelet, keeping it simple and chic for the hot weather. Hair stylist Lindsey Henderson creates that easy and edgy take on plaits with a side scooped fishtail; we love this look at the KD studio!